According to statistic, half of all small companies do not have a company’s website. Is your business still operating without a website? If your answer is yes, it’s high time to get business online. In the modern consumer world expect the brands, products, services to get online presence. And without the business online you might be losing a great opportunity to make a impressive, good gain from those customer’s business base. Most of the business expectations are to build the best website design for their business. Most of the business fails while setting their goal as get business online. The main goal supposes to provide actual information through a easily navigated website. There are plenty of best web design or create-yourself, template based options available, but it’s never been easier for companies to make themselves and look as professional as the Industry standard. Whether you are creating your first company website or rebuilding an outdated one some of the inputs to help you design, publish & maintain a great professional site. Domain name is very much important for your business. Most of the cases it’s the name of the company depends upon the domain availability. It’s always recommended to keep a small domain name while make your website online, so that your prospects, customers, people can remember easily. Check the domain history, DNS History, whether the domain was blocked, or spammed, before finalizing it. Some time you will find a good looking domain name but check the history if the website has been blacklisted. It could be relevant, sort and very much suitable for your business but if it has got a bad reputation it will fall back to your business. You need a hosting server space for your business website. You might go for Windows hosting or Linux hosting depends up on your requirement and features you are using on your website. Never go for free hosting, there are various hosting provider like Godaddy, zoom4domain or bigrock you might look for. Every business is unique in terms of process, products, services, support. So in the same way every small business companies website is different purpose or goal. While creating your website you should get online your business around that goal in mind. For example, consultant business website needs to showcase their services, products etc. 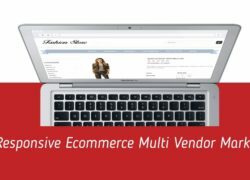 E-commerce website goals needs to showcase their products and should be available to buy. A website without a clear purpose the company’s website will only cost you time and money without any or little benefit. You are the best person to understand your products and services. Before getting online you should decide in basic terms, what to write on the website. You might want someone to edit or polish it. Content will speak to your customer, prospects in absence of you. Your content and presentation will be helpful in converting a normal website visitor to a potential customer. Your webpage should be able to easily explain your products or services. As the business websites are collections of few different web pages. Most of the website will have some common WebPages like about us, about the company, services, products, testimonial, contact & Home page. You might want to have different services in different pages, or in the same page. Depends up on your structure you need to navigate easily in the menu sections. You might want to use breadcrumbs for the page hierarchy. This is most important for a web page. This is the point where the potential customer can contact you or you can capture the details who visited your website and what they are doing on the website. There are various call to action i.e, sign up for a newsletter, download a white paper, contact us, Free Trail. etc. 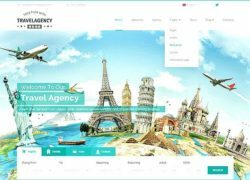 If you want your business to get online hire some experienced professional or a professional website design company, who you think fits the style of your business. Ask for some of the past projects if the company or the professional have executed. To get your business online is a low-cost investment that will help you to both establish credibility with your customer and reach a wider customer base than you ever could through traditional marketing techniques. As long as you keep your website updated with fresh, relevant`, current content and are quick to address technical issues, you’ll never have to worry about “not existing” to your current and future clients. If you want to get your business online Contact Us today or email : info@clickpointsolution.com and let us know your requirement. We would be happy to serve you for your success. Pingback: Got a Business Idea? How to make your dreams come true.